In a bold move, INTI International University & College announced that it will lock in its fees for all 16,500 students throughout its six campuses nationwide, allowing them to continue to pay 2016 fees for any programme they progress into during their entire study duration at INTI. This package is part of INTI’s Education Stimulus Plan, which aims to assist students who may be affected by current external financial pressures such as higher living costs and the weaker Ringgit. “The challenges faced by young Malaysians in affording tertiary education in today’s volatile economy is something INTI is greatly concerned with as we believe this limits the potential of our students which will in turn have a domino effect on the long-term growth of the country. Setting a fixed rate throughout a student’s period of study minimises the strain on the family’s household’s financial commitments, and helps ensure the students graduate with a world-class qualification that strengthens their future employability,” Sharma added. In addition to the freeze on fees for current students, INTI will also be offering all 440,000 students who have just received their SPM results a 30% bursary for all its foundation courses. 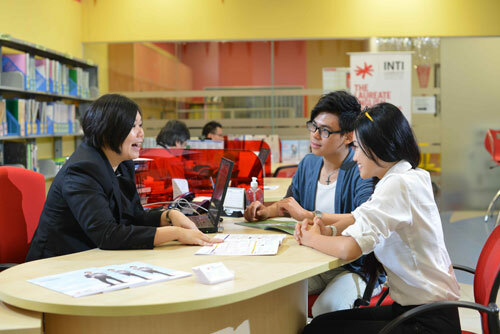 These students will also be eligible for the fee lock, allowing them to take full advantage of INTI’s other established programmes and innovative learning systems which have contributed to 97% of INTI students being employed within six months of their graduation, while 16% are employed even before completing their studies. “Our landmark ‘Graduate vs Industry Survey’ in December 2015 saw 81% of respondents stress the urgency for students to start working as soon as they graduate. This emphasises the need for students to arm themselves with the qualifications and experience that can help them stand out among their peers and secure jobs especially in these increasingly competitive times. At INTI we focus on how best we can help students meet those needs, whether through our industry based curricula, career preparation programmes or hands on projects with our more than 400 industry partners,” Sharma stressed. The long-term advantages of these initiatives were also determined in light of the World Bank’s recently lowered forecast for the country’s real gross domestic product in 2016 and 2017 to 4.5%. “We realised that a one off reduction would only do so much to assist our students and that within a year or even a semester, they would still be faced with the same financial restrictions as fees fluctuate. By initiating a fee lock across the board, we have committed to ensuring our students benefit in the long term, whether in completing their studies or in having the opportunity to progress into other programmes at INTI without the burden of uncertainty,” Sharma adds. 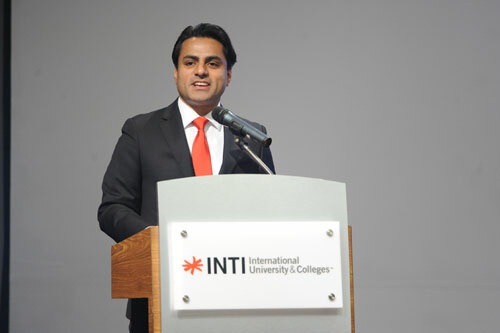 In addition to the fee lock and 30% bursary, INTI will continue to offer its stimulus package from 2015, which includes the opportunity for working Malaysians to upskill themselves through the Diploma in Business Administration, as well as a 40% cost savings for students transferring to Torrens University Australia, a sister university in the Laureate International Universities network.